Raaga.com: Bookies predict ‘Conviction’ for Salman Khan! Bollywood pray for acquittance! Bookies predict ‘Conviction’ for Salman Khan! Bollywood pray for acquittance! 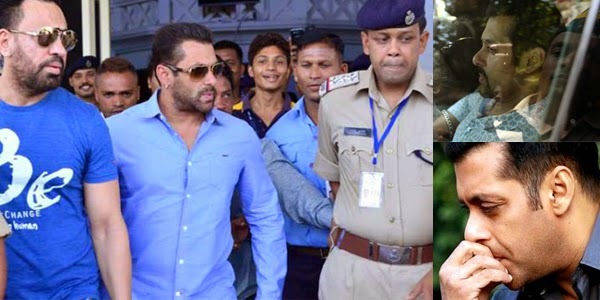 The much talked about Salman Khan’s hit and run case will eventually come to its climax on May 6 when judge DW Despande would pronounces his judgment in the long drawn 13-year-old case. Will Salman Khan will be ‘Convicted’ or ‘Acquitted’ is a million dollar question as lot of money is at stake. Besides Salman Khan and the film industry, readers would be surprised to know that even Mumbai’s ‘Satta Bazaar’ (Betting Market) is abuzz as bookies all over the country are exploiting the golden opportunity to the hilt. According to reports more than Rs 2000 crore have been betted from different cities of Indian that includes small cities like Chandigarh and Patna. According to bookies Salman Khan has more chances of being convicted than being acquitted. In Mumbai the rate for conviction is 28 paise and for acquittance 80 paise per Rupee betted. However in smaller cities the bookies are offering even better return for his conviction like in Chandigarh the rates for conviction is Rs10 and for acquittance is Rs 2 and in Patna for conviction the rate is Rs 60 and for acquittance Rs 40! Salman Khan is facing trial since nearly 13 years in an accident case in Bandra during the early hours of September 28, 2002, which left one pavement-dweller dead and four others injured. If convicted Salman Khan will get 10 years imprisonment but if the judge feels pity he may pronounce minimum three years jail term. Dhanush decides to make more Children Films!